Paul Hardyman has departed from Pompey’s first-team set-up. The Blues coach has been told he is not wanted in new manager Paul Cook’s senior plans, as revealed at portsmouth.co.uk on Friday. Hardyman was informed of the decision at a meeting with Cook this morning. The 51-year-old has racked up nearly 25 years of duty as a player and coach at Fratton Park. 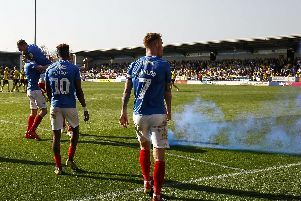 Pompey have suggested there could be another role for Hardyman, but the details of the position remain vague at present. Former caretaker manager, Gary Waddock, has also left the club after arriving in December. Leam Richardson and Ian Foster are set to arrive as Cook shakes up his coaching team.